Passionate gardeners often plant with more than just color and texture in mind. Many attempt, and are often quite successful in establishing a native habitat for birds and other wildlife. 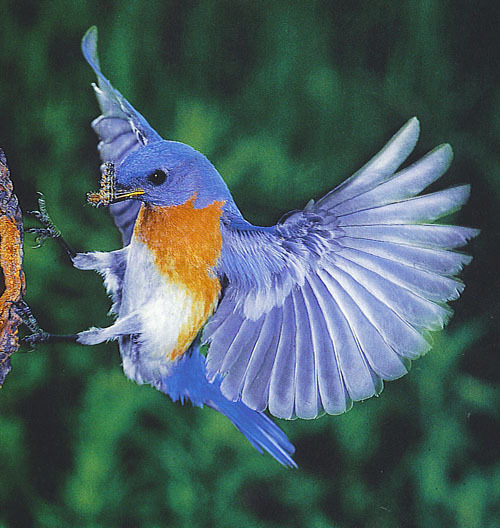 Depending on your setting, there are a variety of birds that visit a garden daily in search of a food source. A favorite meadow bird that frequents our back fields is the blue bird. Its brilliant plumage is simply spectacular. I am always excited to see one or a few flit over the tall grasses or land on a lone post. 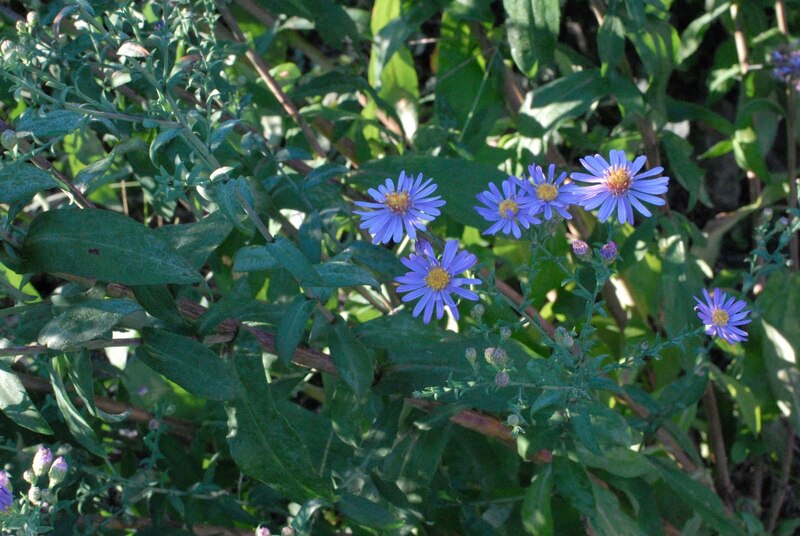 If you love spotting moments of spectacular blue and you by chance have meadow-like conditions, consider planting this wonderful fall blooming Aster – Aster laevis ‘Blue Bird’. Attached is a link from the wholesale nursery, Van Berkum http://www.vanberkumnursery.com/database/plant_details.php?ID=64 detailing the attributes and growing conditions of this smooth Aster. We have purchased several New England natives for many of our naturalistic landscape projects from this family-owned nursery. 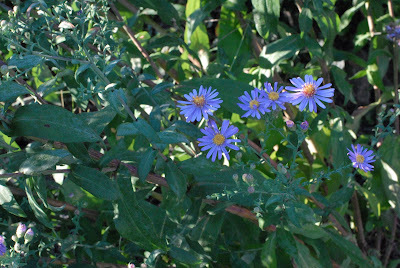 Even if you don’t have a meadow, you can still try this Aster. You can also check out a post from last August. http://blog.bilowzassociates.com/2009/08/late-season-perennial-choices.html I mention a few different types of Asters and some other fall flower choices to assist in the color palette. In Winston Churchill’s famous words, “I cannot pretend to be impartial about the colours. I rejoice with the brilliant ones, and am genuinely sorry for the poor browns.” In this fall season, we must look to plant those brilliant colors or hence, one will only see brown. Compare the color in both images.